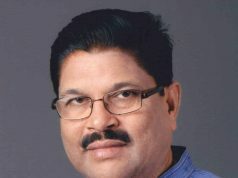 Report by Kahnu Nanda; Jagatsinghpur: The state transport minister Nrusingha Sahoo inaugurated new office building of Jagatsinghpur RTO office at Dedeswardeuli village on Friday. 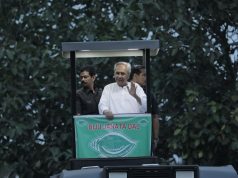 the inaugural ceremony was organised inside the new office building premise , state agriculture minister Damodar Rout, state planning board vice chairman Bishnu Das, transport commissioner Madhusudan Padhy, collector Yamini Sarangi, senior district administration officials, local PRI body representatives were attended the occasion. the building has constructed by local R&B department at the cost Rs 1 crore and 66 Lakh , RTO Bijaya Kumar Nayak proposed vote of thanks.